I choose to do the first research study of the ImTT on OCD because OCD has been such a difficult disorder to treat. Current treatments are difficult for the sufferer. Many with OCD will not even attempt the treatment. 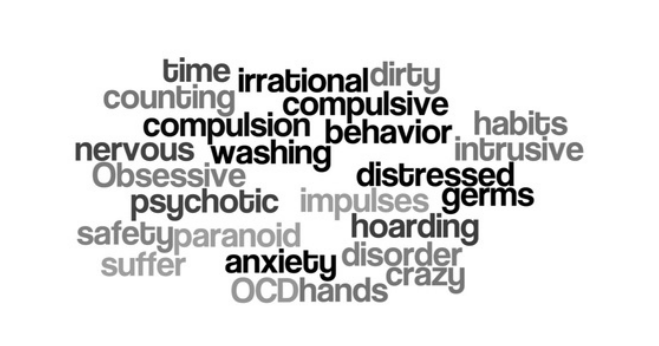 The gentleness and effectiveness of the ImTT treatment makes it an ideal approach for OCD. In this study, each participant OCD type behavior was evaluated using the OCI-R, which consists of 18 questions measuring the intensity of the behavior on a scale of 1 -4 with 4 being the most intense. The participants filled out the questionnaire before each session. The questionnaire was used as both an evaluation of previous work and as a method of discerning which behavior would be focused on in the current session. You can download a copy of the OCI-R by clicking here. The study consisted of 5 participants, none of whom had had previous treatment for OCD. No one was on medication. The gender breakdown was three males and females. The participants volunteered for the study. The exclusions for the study included no co-morbid psychological issues that would interfere with treatment, such as active suicidality ideation or severe depression. The following chart is a summary of the before and after scores of the participants on the OCI-R. The numbers above the column indicate the number of sessions of treatment. 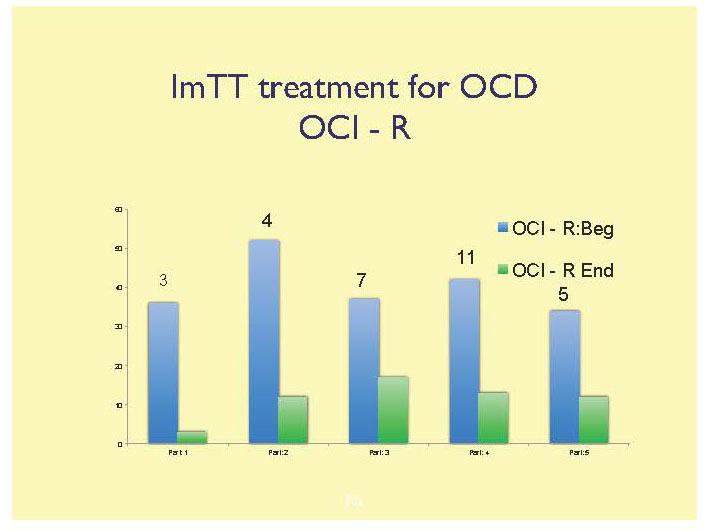 The preliminary data indicate that ImTT is effective in the treatment of OCD. A 6-month follow up will be performed. Transcripts for Participants #5 can be downloaded by clicking here.